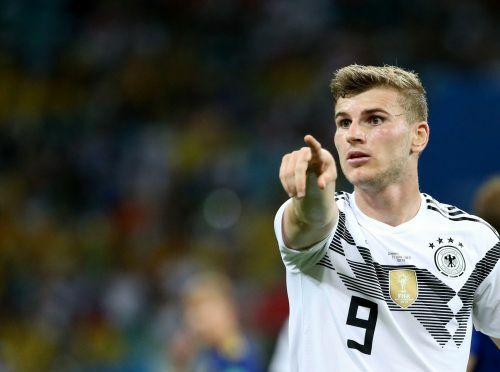 Berlin, April 15 (IANS) Reigning German champions Bayern Munich and Premier League side Liverpool FC are said to be battling over German international Timo Werner. The 23-year-old's current club RB Leipzig announced that the striker has told them not to extend his contract which runs till 2020. It is an open secret that the East German club has decided to sell Werner after this season and not go into the last year without an extension, reports Xinhua news agency. "We want to keep him and extend his contract. But he has told us he most likely has other plans," Leipzig's CEO Oliver Mintzlaff commented. The 43-year-old a few weeks ago told German media that Werner is supposed to leave in summer 2019 upon refusing to sign a new contract. Bayern seems Werner's first choice as the striker last autumn praised the Munich club as the only option in German football when it comes to his future ambitions. While his agent, former German international Karl-Heinz Foerster, is said to have already negotiated vital data with the Bavarian side, new competitors have turned up on the international stage. According to several media reports, Liverpool and their German coach Juergen Klopp are highly interested in signing Werner. The forward would fit perfectly into the "Reds" tactical system. Leipzig is said to expect around 40 million Euros. The tabloid Bild assumed this could possibly be too much for Bayern. The sports-magazine kicker reports the deal between Werner and Bayern is done. Bild is talking about several top European outfits to eye Werner such as Real Madrid and Paris St Germain and their German coach Thomas Tuchel. Insiders say Werner has decided to join Bayern this summer, but tempting offers from abroad could still be considered by the striker and his management. Until now, Leipzig didn't receive an offer from Munich or any other club, the kicker is reporting. Leipzig coach and managing director Ralf Rangnick is said to have given up the battle. The 60-year-old said he is only counting on Werner's current satisfying performance to secure the club's place in the 2019/2020 Champions League campaign. Werner has scored three goals in the last four games and delivers an upswing. Nevertheless, Bayern and Leipzig are crossing swords in the second last season game in the Bundesliga and could meet in the 2019 German Cup final in the Berlin Olympic stadium in May when both survive their semi-finals. The kicker reports Werner and his teammates have agreed to make the strikers farewell tour for Leipzig a successful one. "Nobody at present is interested what happens in six or seven weeks. We share the common goal to secure our Champions League participation," Rangnick emphasized. With Werner scoring the second goal against VfL Wolfsburg (2-0) last weekend, Leipzig managed to increase its chances to strengthen its third place in the national league's tableau. Leipzig, though, are said to be hoping to incite a bidding battle for the striker, while they would rather sell abroad than help strengthen a domestic rival. Werner ticks many boxes for Liverpool, capable of playing on various positions in the frontline and blessed with enormous speed. The Stuttgart-born previously admitted that playing in the Premier League is a childhood dream as he watched a lot of Liverpool and Manchester United games when he was growing up and would jump at the chance to work with Klopp. Werner said he would want to join a club capable of winning titles.